The coin belongs to the Personalities series. 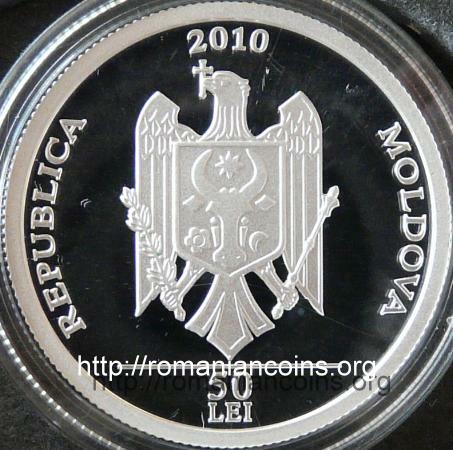 The series also comprise (in congruity with the website of National Bank of Moldova) the coins dedicated to metropolitan Varlaam, ruler Petru Rareş, writer Antioh Cantemir, prince Dimitrie Cantemir and artists Doina and Ion Aldea-Teodorovici. Maria was born on February 10th 1910 at Chişinău, at the time the most important city of the gubernia of Basarabia, part of the Russian Empire. Between 1924 and 1929 she followed the courses of the "Unirea" [Union] Conservatory from Chişinău (established in 1919). The name Cebotari comes from the trade of shoemaker - "ciubotar" or "ciobotar" in Romanian. The transformation of "iu" or "io" in "e" was probably made under the influence of Russian, when the name was written by the Czarist public servants. Her talent was discovered at Chişinău by count Alexander Virubov, who was in Romania as head of a Russian theatre company. In year 1929 Maria left Romania for Paris and then for Berlin, and she married Virubov. 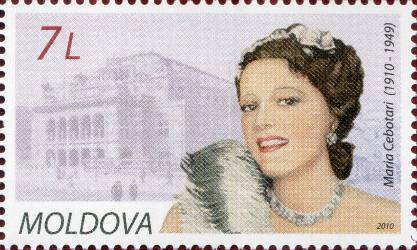 She debuted in 1931 at Dresden in opera "La bohéme" by Puccini, with a huge success. She was immediately hired at Saxon State Opera in Dresden. Later Maria worked for the State Opera of Berlin and for the State Opera of Vienna. She also delighted the spectators on other important European stages. In 1938 Maria divorced and married the Austrian actor Gustav Diessl (1899-1948). Maria died from cancer in 1949, at Vienna, ending a fabulous career. 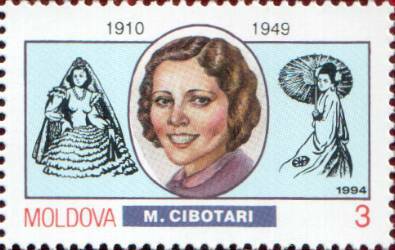 Maria Cebotari was not only a soprano, but also a cinema star - she played in 10-11 movies produced in Italy and Germany. One remarkable role is the role of singer Maria Teodorescu in the Italo-Romanian co-production "Odessa in Flames", dating from 1942 (the Italian title is Odessa in fiamme; in Romania the movie was named "Cătuşe roşii", "Red Handcuffs"). This war movie, produced with the help of Romanian Ministry of Propaganda, was recently rediscovered in its Italian version. During the Romanian communist period the movie could not be played due to politics: scenes presenting the refuge of Romanians in 1940 and scenes presenting the entrance of Romanian liberating army in Chişinău and the joy of the local population were unproper for watching, as the Romanian population in the communist era was undergoing a process of being blanked out about the events of WWII and the existence of Romanians on the other bank of Prut River. 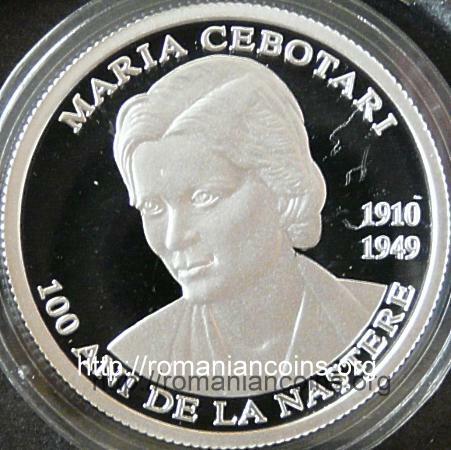 Although Maria Cebotari lived most of his live in Germany, where she sang, the artist always considered herself to be "Romanian from Basarabia" - as she declared in an interview.